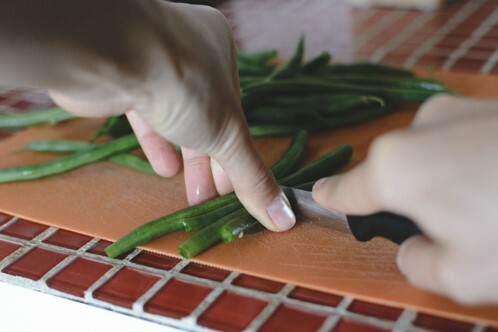 Recipes - Sides - Sauteed Green Beans - Salado Olive Oil Co.
Heat oil in large skillet. Saute onion and garlic until soft. Add green beans and saute for 5 minutes. Add mushrooms and continue to saute for an additional 5 minutes. Serve hot!